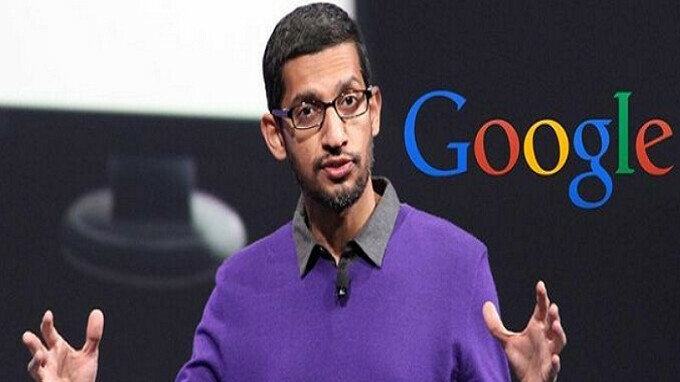 Google CEO Sundar Pichai had some interesting things to say about Artificial Intelligence (AI) while taping a television interview show a couple of days ago. The executive said that "AI is one of the most important things that humanity is working on. It’s more profound than, I don’t know, electricity or fire." Pichai said that AI could end up helping mankind discover a cure for cancer, or a solution to the world's climate change problems. When asked about the technology's impact on jobs, Pichai admitted that some people should be worried, but added that in general, the world needs to "embrace the change." He noted that countries that don't find a way to assimilate the latest technologies do not "do well with chance." Last year, both Apple's A11 Bionic chipset and Huawei's Kirin 970 SoC featured AI processors built right in to the component. The actual benefits to the consumer aren't earth shattering yet. For example, on the Apple iPhone X, the Neural Processing Unit (NPU) powers Face ID and Animoji. On the Huawei P10 series, the NPU helps automate camera settings and allows Bing's translator feature to work offline. Remember though, that as far as AI is concerned, these are still very early days. And as more companies like Samsung design AI into their chips, the number of features powered by these NPUs will multiply. The interview with Sundar Pichai will be televised on MSNBC next Friday, January 26th, at 10pm EST. Besides Pichai, YouTube chief Susan Wojcicki will also appear. The show is called "Revolution: Google and YouTube Changing the World." As well as the danger this AI stuff brings. We don't want robots replace mankind. Honestly I don't agree it's all about the chipset and it's architecture. Pichai must of been watching one to many black mirror episodes. Hot Shower will always be the most important creation. You are my kind of people. I like you. Actually hot showers are pretty bad for your skin, cold showers are really awesome and have incredible impact on your body after longer period of taking them. Samsung is changing the world, not Google. Google is just a pathetic globalism agent. If it wasn't for Android, Samsung would be nothing. Google will survive without Samsung. How stupid can you get? (So-min) Think about it. Since samsung started producing android smartphones. It had sell well. Meanwhile, their own platform with their own OS didn't even live up to its name. As you can see in the list of samsung mobile devices. Majorities are using android OS. Without android. How will samsung compete against android and apple? Check the facts! Nothing is more important than protecting this earth, they all need to stop creating so much s**t we don’t need that affects this planet. Those companies spending billions to find life in other planets, should spend billions on fixing all the s**t they caused in this planet. Couldn't have said it better, derek. Agreed. More time and effort needs to be put into fixing the broken countries that people are trying to escape from...the goal should be making the whole earth a great place to live, rather than destroying the few good places we have left. Can't fix the so called 'climate change' problem though...the Earth is going through its regular 26,000 year cycle and there's not a damn thing anyone can do about it. It's not a "so called climate change", it's just climate change and sure it's a cycle that repeats itself, the problem is that humanity has sped it up and potentially caused so much harm to the earth's ecosystem that it can no longer continue that cycle. The goal was never to fix climate change, it's always been to make sure that we slow it down to how it should be going to avoid disaster. If we cause a, by relative terms, extreme acceleration of the process, don't you think the planet may respond in kind to keep its balance. Fixing a few broken countries vs. fixing a broken planet that sustains us, it's a bigger picture kind of thing. Besides people will always kill people, whether for religion, personal gain or any other reason. You decide which might be easier to fix, accelerated climate change or human nature. "Your scientists were so preoccupied with whether they could, they didn't stop to think if they should. " This is legitimately one of the most important arguments that I tackle everyday and I think people should start tackling more. Can’t quite express how much significance I give to this. It drives me crazy and paranoid, and sometimes also makes me afraid and worried, that how everyone is busy creating things and people have created things without ever realising its dangers and how it could effect living things and this earth. All everyone thinks is how could they make this possible but isn’t patient enough to stop and see through the fame and fortune that what good or bad could it bring. I wish this was the platform to discuss such a thing. I certainly would have gone into more depth if it was. And by the way, who originally said the quote that you wrote above? All I’m going to say is, they didn’t watch the movie Eagle Eye. Many years ago, my great auntie had a job in what was then Soviet Ukraine: she stamped tickets in a ticket booth. She was told what to get by the person who collected the money from the traveller, then found the right ticket, stamped it and gave it back to the cashier, who gave it to the traveller. That was her job for 8 years. We laugh at this now, even as we fear what AI will do to jobs. But it is no different: whether it be better business processes, new machines or AI, smarter and better thinking and technology will reduce the need for people to do mundane tasks. People need to up-skill and re-skill: there is no "right to hold back applied knowledge" on the basis of a perpetual right to do a certain job. Otherwise, we'd we'd have no Excel for fear of abacus makers losing their jobs, and cars would still be a banned technology in order to protect the future of hay growers and horse manure shovellers.